A few posts ago, I wrote that I was slowing down. Well, yes and no. No more shows at least, but plenty more work. I’m on a roll, and it’s exhilarating. Other folks are dashing about preparing for the seasonal holidays and celebrations, while I head to my studio and get to work. 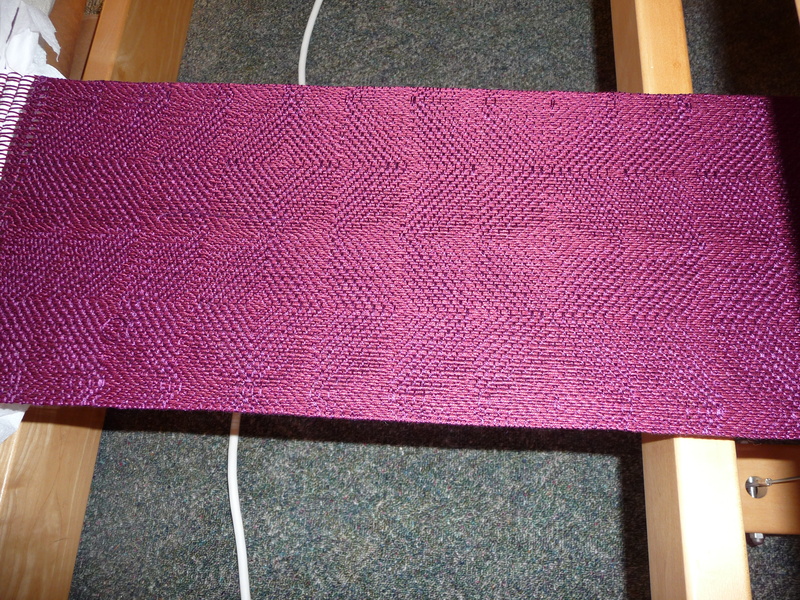 The Summer Nights series will be finished today, and the first scarf in the Merlot series is done. It’s wonderful. 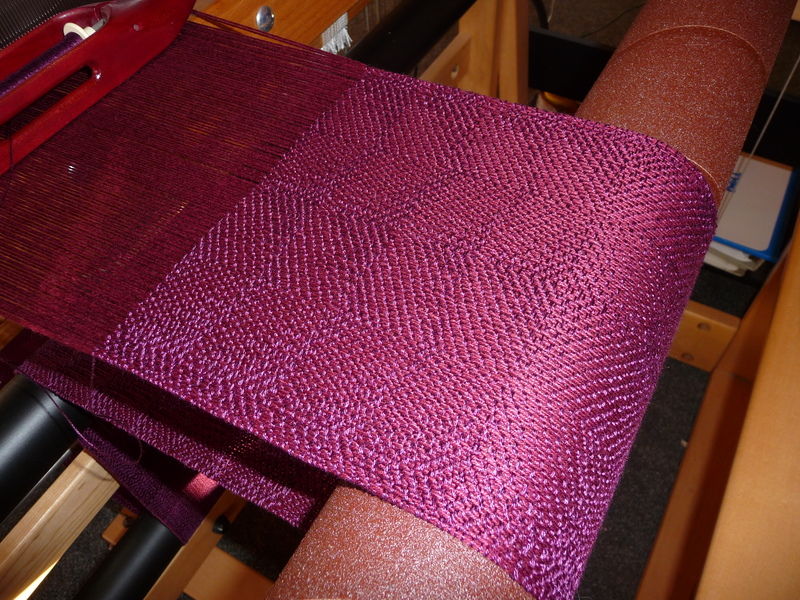 That’s taken down low toward the back of the loom where the finished cloth winds — under tension — onto the cloth beam. These pieces will all go to Michael Stadler for professional photography when I’ve finished them — they’re going to be both so subtle and so elegant that I want them to be Properly Represented. And now back to the loom to whack out the last two feet of Summer Nights . . . .